Dance to the beat of the Disney DJs. 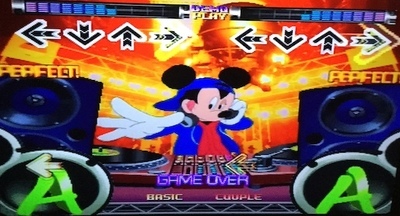 Dance Stage Disney Mix is part of Konami's popular Dance Dance Revolution series, which started off life in video game arcades. 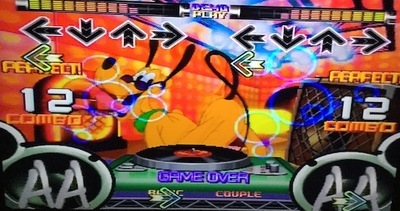 When dance mats were developed for home gaming, the series was quickly released for the Playstation One. Dance Stage combines gaming with exercise, getting players off the couch and moving about. 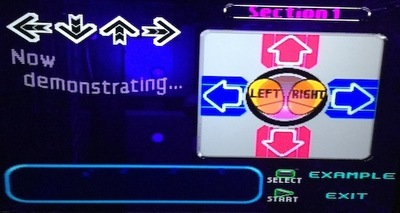 The aim is to follow the dance steps shown on screen by stamping your feet on the arrows on your dance mat (although if you are not feeling energetic you can tap the arrows on a controller pad). 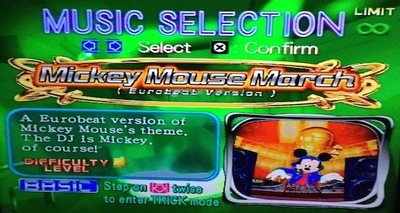 In this variation, Disney characters become DJs and remix popular Disney songs such as 'Mickey Mouse March', 'Zip-A-Dee-Doo-Dah', 'It's A Small World', and 'Chim Chim Cher-ee'. There are also several other non-Disney songs included, which I was disappointed by. If I wanted non-Disney, then I would buy a different Dance Stage game from the series. There are so many wonderful Disney songs that could have been used, but did not get a look in. 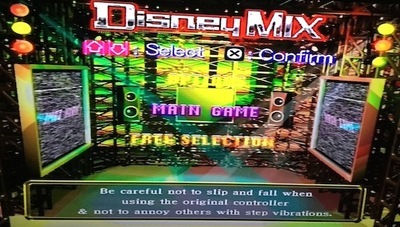 Unlike most games which have three basic difficulty levels (easy, standard, hard), Dance Stage Disney Mix has nine, plus other customisable options to suit all abilities. 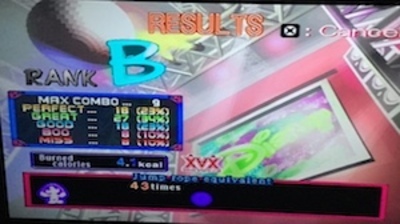 In Training mode, for example, you can change the tempo of the song so that it plays more slowly, and you can turn on a metronome or the sound of clapping hands to help with your rhythm. 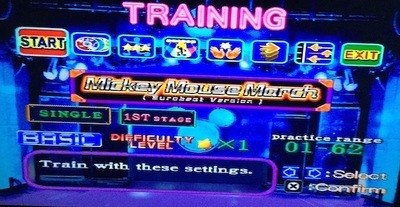 As well as Training mode there is also lesson mode, which shows you how to perform the steps in different ways. There are three lessons, each with eight stages, but you can only attempt the last stage after passing all the others. In the main game there is a gauge bar at the top of the screen which fills up when you perform the moves correctly. If you go wrong then the gauge goes down, and once empty it's game over. At the end of the session you can study all the data about your performance, including your grade, the percentage of moves you performed correctly/incorrectly, and how many calories you burned. 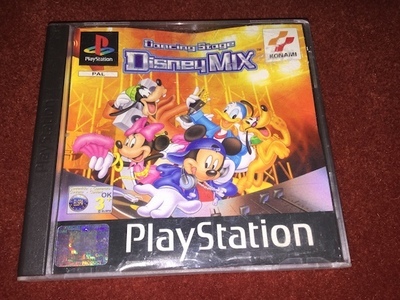 As the theme of this game is Disney, you might expect it to be specifically aimed at children, but the difficulty levels and ability to add fitness options makes it suitable and challenging for all ages. 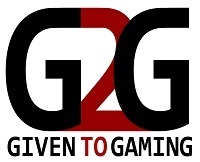 Although understanding the game is easy, succeeding in the game is not and takes a lot of practice. It is great for trying to improve your own score, but even more fun if you have two mats so you can compete against a friend.